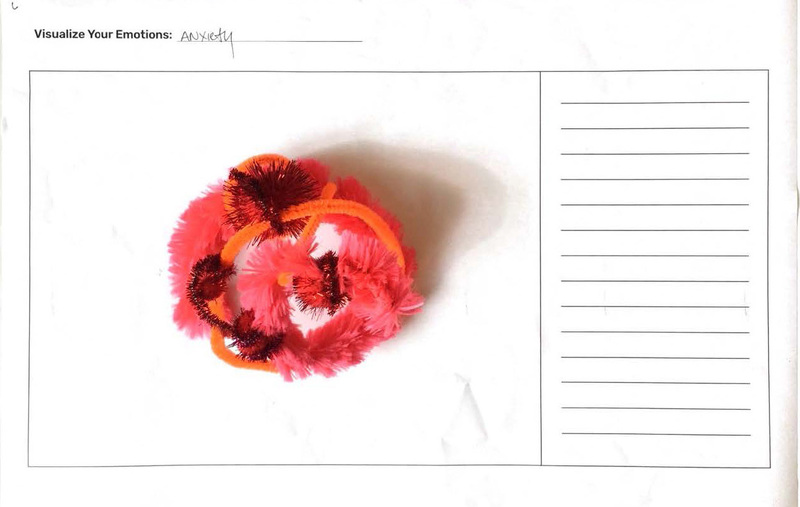 Can design help people think about and express their own mental health? 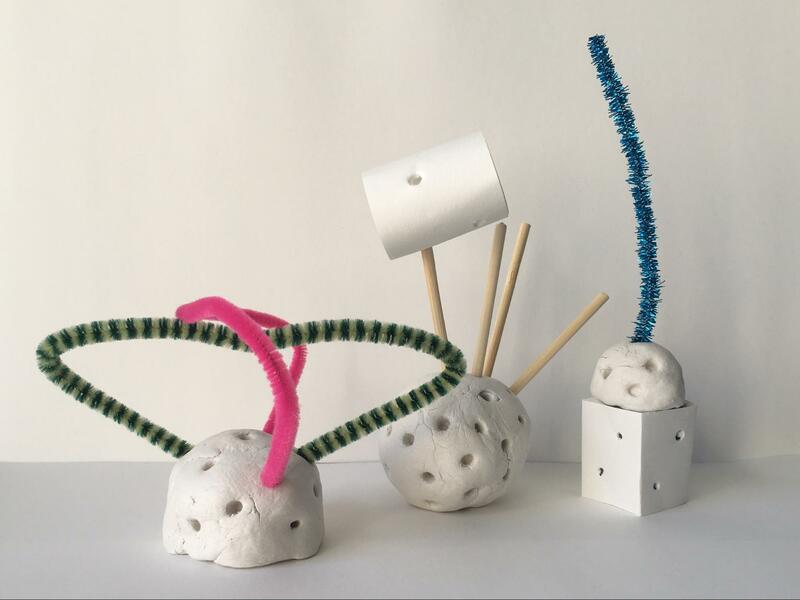 Four ongoing projects from students in the Imaginaries Lab studio New Ways to Think, in the School of Design at Carnegie Mellon, are exploring creative ways for us to describe, talk about, and share our own often invisible experiences. We’re sharing our work-in-progress here for #worldmentalhealthday2018 (October 10). We’re living in fraught times. According to research compiled by the Wellcome Trust (UK), “one in four people will experience a mental health problem in any given year”, and “75% of people with a mental health problem develop it before the age of 24”. Carnegie Mellon students, in common with many people in high-pressure environments, can experience a broad range of mental health issues. Yet as a society, we don’t always have good ways of talking about mental health. In New Ways To Think, we’re exploring how we can adapt participatory design and facilitation methods, often used in user experience, service design, and working with communities, to a mental health context. We believe they have the potential to help people capture qualitative dimensions of their experiences, to make them palpable, to enable discussion, reflection, and peer support. Our initial focus is working within the Carnegie Mellon community, including receiving very valuable input from the university’s Counseling and Psychological Services, but we hope that the methods developed can be of use more widely through further development. 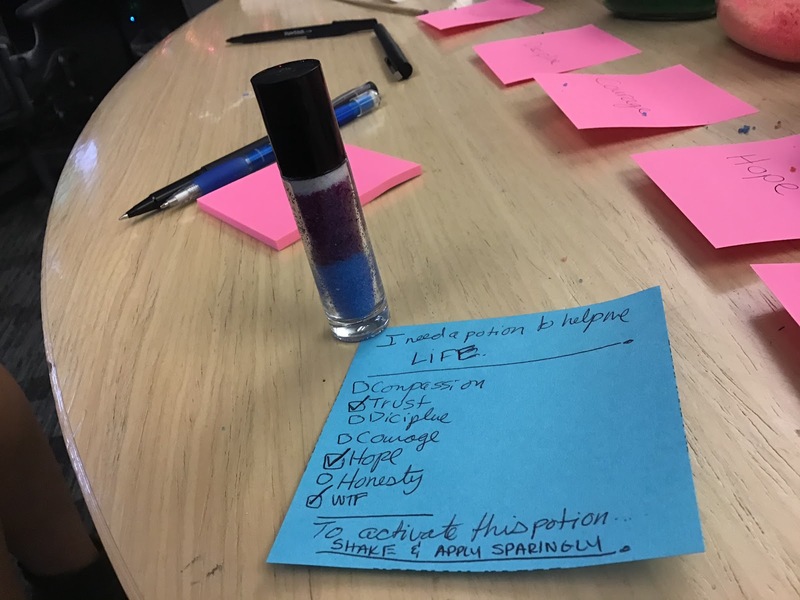 The four projects currently in progress are Empathy Rocks, Lexicon of Feelings, Personalized Potions, and Emotional Modeling. Each works with different aspects of mental health, from anxiety and stress to loneliness, to enabling feelings that perhaps don’t have a name yet to be expressed and shared. 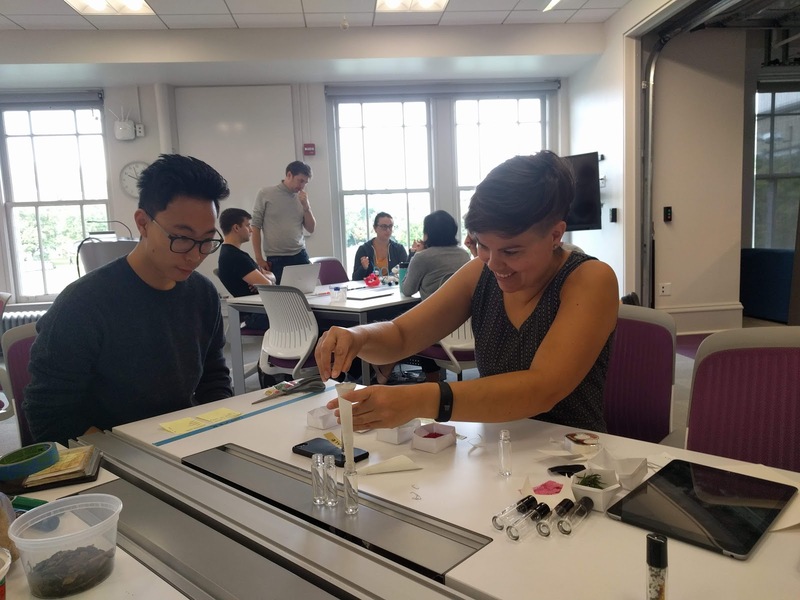 Students developing the projects include undergraduates, Master’s students, and PhDs from CMU’s School of Design, School of Art, Human-Computer Interaction Institute, Tepper School of Business, and Integrated Innovation Institute. 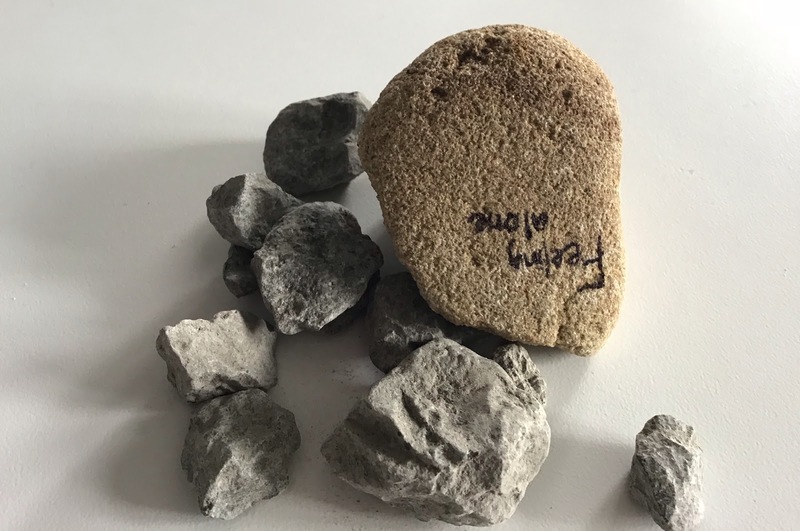 Empathy Rocks: Passersby are encouraged to express their feelings by writing what is weighing them down, or to place small rocks as a sign of empathy with others. Empathy Rocks project sets out to address a common feeling of being alone in your worries and anxiety. By encouraging people to express what is currently weighing them down, the project allows people to relate to others and express empathy. The project results in a collective representation of negative emotion and empathy through cairns and rock stacks. The installation is currently in progress, and is intended to be placed in a library, where people are naturally quiet and can silently interact and reflect on their feelings. 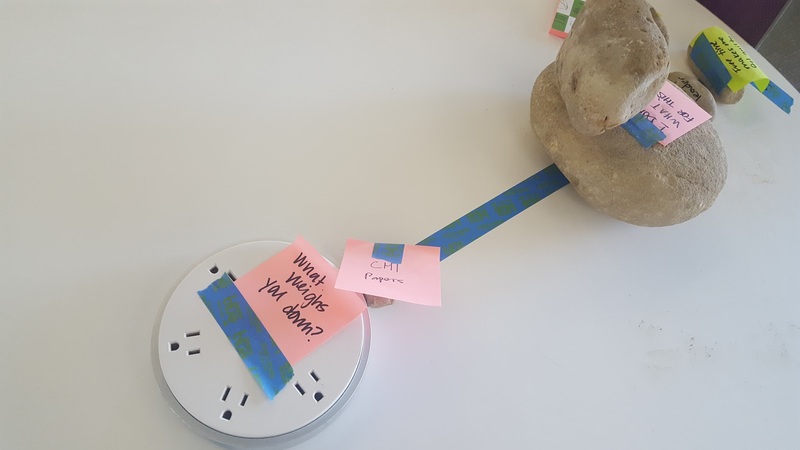 Passersby are guided to take a rock and write something that is weighing them down, or take a small rock, and place it near another one that is already on the surface as a symbol of empathy. We use a round surface for the rocks to encourage people to walk around it and to think about other people’s anxieties while they reflect on their own. Over time, these expressions of emotion and empathy stack up and create empathy rock cairns. Early interaction testing of the Empathy Rocks project. Common words are difficult to apply to everyone in the same way. We come from different places, languages and contexts and each have our own associations with the relatively narrow set of words we use to express ourselves. How can we better express ourselves to others? How can we find more clarity in the abstract? Lexicon of Feelings is an interactive installation that creates a space for people to engage with their mental health in a non-traditional way. Through 5 different stations, people are challenged to use abstract words, shapes, colors, textures, forms, etc. to bring clarity and understanding to how they feel in the present. How are you feeling at the moment, today or recently? Write down 3 words you are feeling. Mash-up, scramble your 3 words to invent a new word — your own feeling-language. Write yours on the line of the foam board. What does your word feel like? Look like? Sound like? Feel free to pick the materials provided and explore textures, colors, shapes, forms, etc. Show us what your word feels like and put the materials on your foam board. Annotate your “feeling definition” so others can navigate your piece! Lexicon of Feelings encourages people to reflect on their own mental health in a private way while leaving a public artifact. Using different materials, combining existing language, and creating a new vocabulary maintains a sense of individuality and validates feeling that are difficult to express. Lexicon of Feelings creates a collection of new words that are deeply personal and unique, while also drawing parallels within the CMU community. 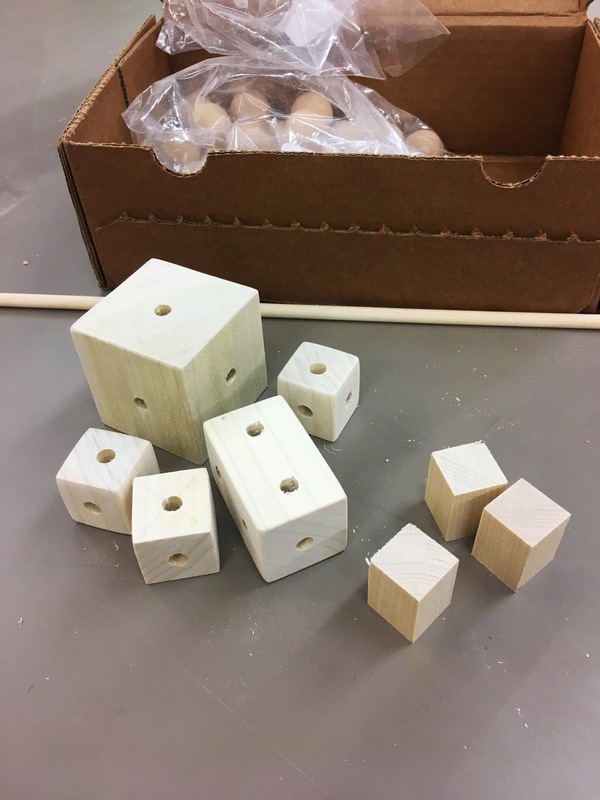 The kit includes a variety of 3-dimensional shapes in a range of colors and materials (including wood, felt, and concrete) that can be connected to form abstract sculptures. We chose to focus on providing a relatively streamlined palette in order to avoid overwhelming users with options and encourage intentionality in their shape and material choices. Our intent is to provide participants with the space to create these sculptures in a private setting, giving them the option to anonymously share a photo of their final product as part of a collection. Our hope is that in creating these sculptures, participants might experience a sense of catharsis and have an opportunity for meaningful reflection. We believe this non-verbal process of ‘externalization’ could allow some participants to express their emotions in new ways, as the sculpture they create might act as a totem of an otherwise deeply personal feeling. Further, we hope that some participants will feel comfortable sharing an image of their sculpture as part of a larger collection, which will in turn allow people to connect with one another through their creations, feel a sense of community, and encourage a broader dialogue about emotional and mental health. Process documentation for final iteration, creating wooden volumes. Participants receive a clear glass vial. They are prompted to think about what a potion could help them accomplish in the near future. The participants write down their concern on the potion’s label. They the fill the vial with “ingredients” (in the form of colored sugar) that will help them towards their stated goal. The ingredients boast names like “Compassion”, “Trust”, “Discipline”, among others, with one wild card ingredient they can name as they see fit. As they fill their vials, the facilitator writes the contents on the label. The facilitator finishes the label and gives the potion to the participant as a keepsake for continued reflection. 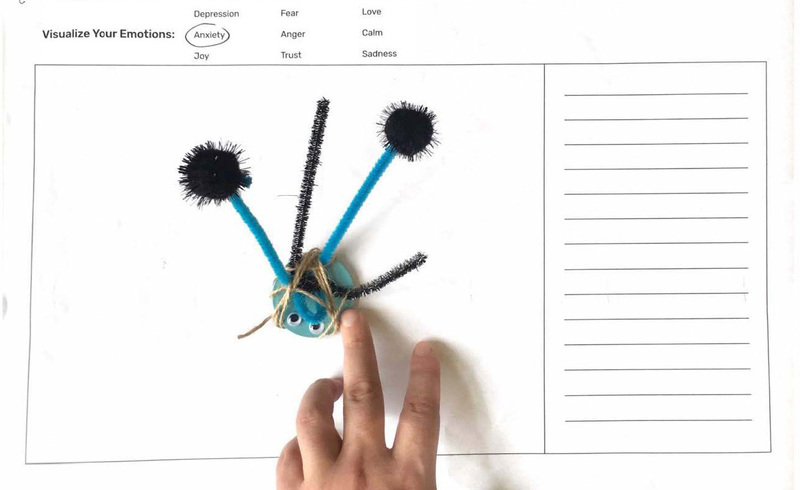 The project is freeform and individualized in subject; participants can use the activity to address whatever aspect of their own mental health that they choose, however big or small. The goal is to give them an opportunity to express self-compassion, and to pause and reflect on what they need for their own well-being. The experience in its final form will be conducted at a kiosk in an area of student housing on a university campus, where interactions can be relaxed and fun. The mid-October timing helps in two ways: tensions can be high during the middle of the semester, but it’s also a prime time to leverage Halloween as an aesthetic to support the experience. Filling the vial with a personalized potion.